CSIS in partnership with the Shakti Sustainable Energy Foundation hosted the first-ever U.S. – India Subnational Energy Workshop in New Delhi. The event brought together over 100 participants over three days including 10 representatives of Indian states, 12 representatives of U.S. states, India’s Ministry of New & Renewable Energy (MNRE), Energy Efficiency Services Limited (EESL), and several U.S. federal government agencies to discuss common challenges in deploying technologies, creating policies and management of the grid of the future. 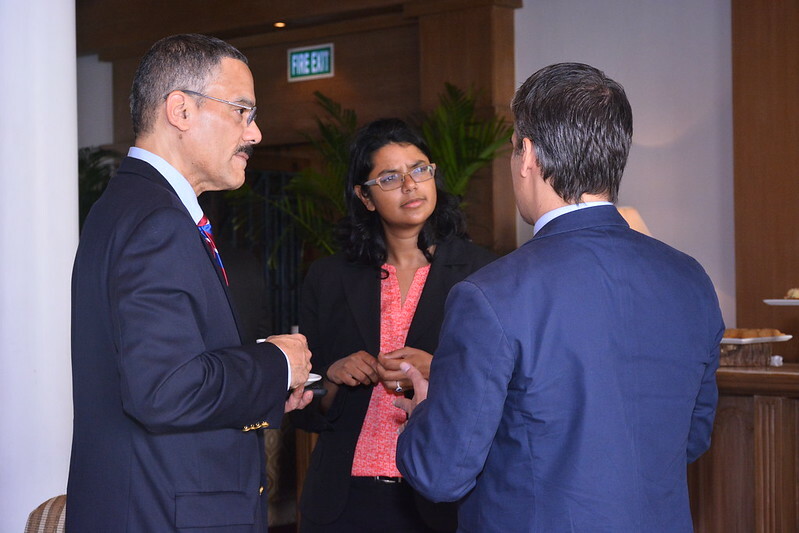 The event was kick-started with an evening reception at the U.S. Embassy supported by AmCham and Azure Power. On November 2nd, U.S. and Indian states shared which smart power technologies they were deploying, challenges of managing those technologies, issues of capacity and training for staff, as well as the need for important regional interconnections to uptake new sources of distributed power. On November 3rd, participants were invited to partake in a tour of Tata Power Delhi Distribution Limited’s state-of-the-art Smart Grid Lab in Delhi. 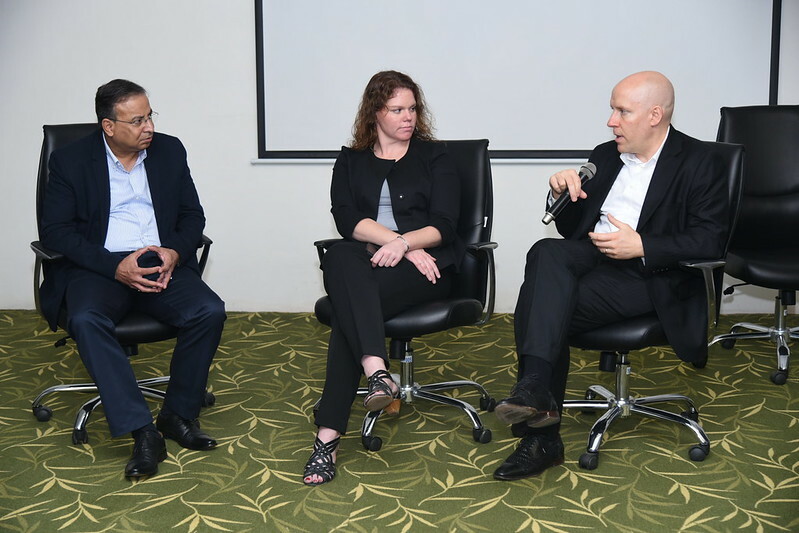 The tour allowed participants to see first-hand how Indian utilities are dealing with the challenges of transforming India’s electricity sector and readying themselves to deploy technologies for managing the grid of the future. See agenda below for more details. The Center for Strategic and International Studies (CSIS) is partnering with the Government of India’s Ministry of New & Renewable Energy and the Shakti Sustainable Energy Foundation, to inaugurate the first workshop of the U.S.-India State and Urban Initiative with an evening reception focused on energy innovation. The reception will bring together key U.S. states, universities and research institutions with their Indian counterparts to highlight the various development initiatives and solutions-oriented innovations that are being undertaken. The evening reception is hosted by the U.S. Embassy in New Delhi, with support from American Chamber of Commerce in India and Azure Power. See photos here. The grid of the future must be reliable, resilient and capable of integrating vast quantities of renewable energy. Based on CSIS’s survey of Indian and U.S. states, a few key technologies stand out as critical for the creation of this new grid: decentralized and large grid-tied renewable energy, smart power technologies, and energy storage technologies. This session will focus on the experience of key stakeholders and their perspectives in trying to deploy these technologies in states in both countries. The objective of this exchange will be to identify what kinds of partnerships between states and non-state actors are required for the successful deployment of these technologies to build the grid of the future. Indian states are vested with the power to give robust policy directives for the energy sector to introduce healthy regulations, to foster an environmentally and financially sound path for state utilities, introduce incentives conducive to the growth of energy entrepreneurs, and for attracting more investment yet challenges remain to changing the systems and approaches of the past to bring about the most optimal future outcomes. The focus of this discussion will be to understand the role of various stakeholders in designing new collaborative frameworks to support technology innovation and diffusion in addition to supporting existing institutions which are struggling to manage the transition to a grid of the future. The objective of this exchange will be to identify partners to assist states in designing new frameworks to foster the growth of an energy innovation ecosystem that can support new technology deployment and management of the supporting state energy institutions such as (MNRE State Nodal Agencies and DISCOMs). The final day of the workshop includes a private sector focused session highlighting the market for smart power technology, storage technology, and distributed generation. The opportunities in this sector is immense as it complements the uptake of renewables, stabilization of the grids, 100 percent electrification goals, and the smart cities project. The session’s objective is to provide a comprehensive outlook on how companies, government, and non-government institutions can work together to design scalable energy projects in both countries. This will require diving deep in to logistical and regulatory environment and partnerships required to meet the energy needs of Indian and U.S. states.